The Inner Harbor of Baltimore, Maryland (population 636,251) was “discovered” in 1608, but the Port of Baltimore was founded three centuries ago in 1706. Sited in the Chesapeake coastal plain at the Piedmont fall line, Baltimore’s mills led world production and export of flour in the early Republic. The National Road, the nation’s first Congressionally authorized interstate road, and the B&O Railroad propelled Baltimore’s growth from the harbor to become the nation’s second-most populous city in the mid-1800s. The city’s defense against the British in the War of 1812 inspired the writing of "The Star Spangled Banner" and helped forge an American identity. Between 1830 and 1917 more than two million immigrants landed here, second only to New York as a port of entry for many years. Today, Baltimore is the nation’s fifth-busiest port. Its principal economic activities are health care, education, and tourism. Baltimore’s designated Historic Districts include 71 neighborhoods comprising more than 56,000 properties. Visitors can glimpse that past through the Heritage Walk, a 3.2-mile walking trail through four centuries of American history, connecting 20 historic sites and museums in a compact area that spans four city neighborhoods. 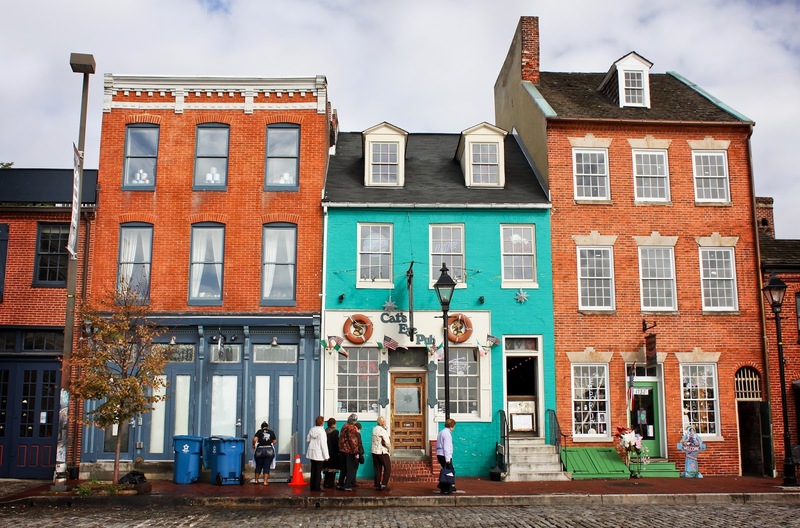 Fells Point tours focus on maritime history, architectural history, the “Ellis Island” of Baltimore, and a ghost walk; as well as the Frederick Douglass Path to Freedom. Baltimore offers first-class museums, house and garden tours, restaurants and shops. Annual community heritage festivals include the Fells Point Fun Festival, Showcase of Nations, Defenders Day, the Flower Mart, and the Preakness, the second leg of American thoroughbred horse racing’s Triple Crown. Teaching with Historic Places lesson plan "The Rockets' Red Glare - Francis Scott Key and the Bombardment of Fort McHenry"